4D IT Solution provide E-commerce hosting solutions, E-commerce shopping cart solutions, E-commerce website design, customized ecommerce solutions and E-commerce software solutions. For thousands of prospective buyers that see your company on the Internet your web site delivers the critical “first impression” of your company. Hire 4D IT and you can have a great looking web site that will put you a cut above your competitors. Already have a website and just want to maintain it your own whatever it may be, like updating news section, members, contents like celebrity chat, message board…just name anything. Basic idea is to converting a simple site (with database or without) in a more lucrative and easy way to update online yourself without paying the updating or maintenance charges. Check out cool features with online control panel for updating Massage Board, News, Delete & Modify the Buyer sellers, Change celebrity chat sections, Delete & Modify listings online, Change categories of Sellers/Buyers and many more features so that you maintain your Website/Portal online your self. If you have a website and just want to add e-commerce. Need a full-featured catalog and shopping cart, along with real-time credit card processing? 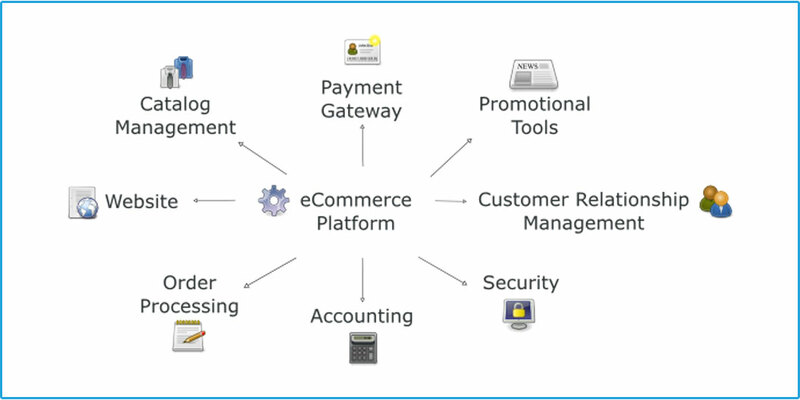 4D IT Solution is the ideal way to add e-commerce to your existing or new website. Portals Like online Shopping Cart demonstrating products, including facility to virtually pick-up and keep products, auto calculation and online payment through Credit Card via Secured Services. We do the necessary customization to personalize the site for you or your company for free. Your site will be CSS based and will run with java script effects. Please know that you can add any feature or programming for very low price.